He said the step was taken in view of the state governor, Mr Godwin Obaseki’s pronouncement, banning only night grazing by herdsmen in the state. According to him, the governor’s pronouncement has no force of law and was pretentious. He stressed that it was the duty of legislators to make laws, adding that if Edo Government was serious in tackling the incessant clashes between herdsmen and farmers, it would have forwarded a bill to the legislature. He said that unless a law was enacted in that regard, the ban would not be affective, adding that with mere pronouncement of the governor, offenders would not be apprehended and prosecuted. Orbih said that the Bill, which was sent to the Assembly on Monday, was also sent to all the lawmakers, adding that the Bill proposed ranches as obtained in civilised countries, instead of cattle colony. He said that the activities of herdsmen in the state had reached an alarming rate as unconfirmed reports had it that no fewer than 52 persons had died from the herders and farmers’ clashes. He added that 183 persons had suffered serious injuries from the regular confrontations. The party chairman said that with the alarming figure of casualties from the clashes, there was need for the state government to take a decisive step on the issue. He said that merits of the Bill included prevention of destruction of farms and crops by herdsmen and their cattle, and legal backing to herdsmen who would register their business to operate according to the law. 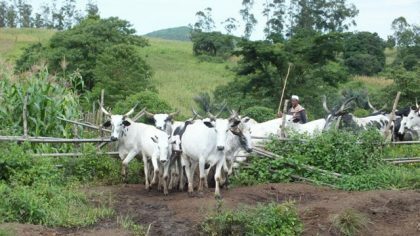 According to him, this will prevent clashes between nomadic livestock herders and crop farmers as well as protect the environment from degradation and pollution caused by open rearing and grazing of livestock. Orbih explained that a law as proposed would optimise the use of land resources in the face of overstretched land and increasing population, and create conducive environment for large-scale crop production. Obaseki had in January, through his Special Adviser on Media and Publicity, Mr Crusoe Osagie, announced ban on night grazing in the state.